The G-7 Summit in Charlevoix, Canada, this past June drew attention to a possible crack in the unity of the Group of Seven nations that have been leading the world's pursuit of liberalism and multilateralism. 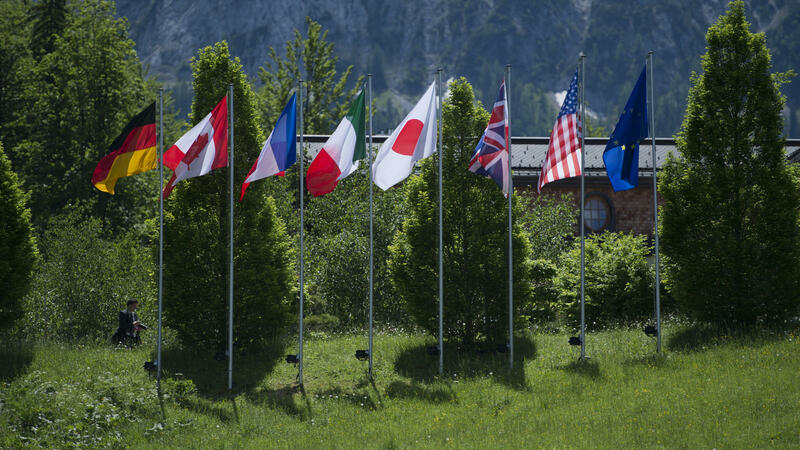 Will the G-7 be able to continue its role of pursuing a global order based on rules? What is expected of the G-7? 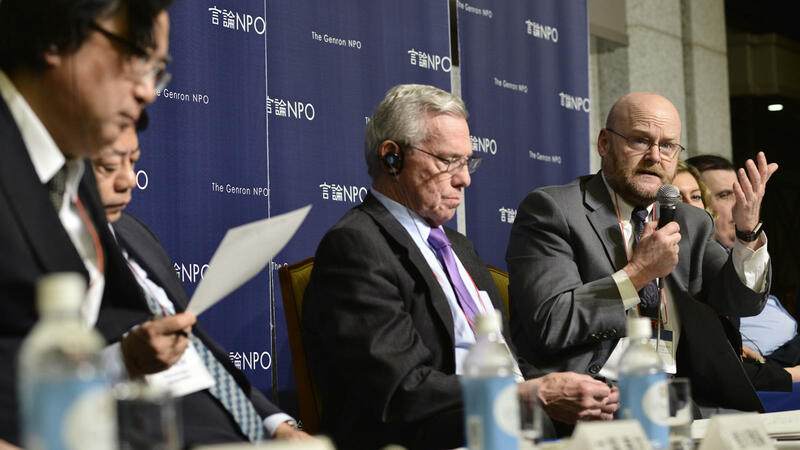 Diplomats from Japan, France and Canada convened to discuss the pressures facing the group and what is expected from this decades-old forum. 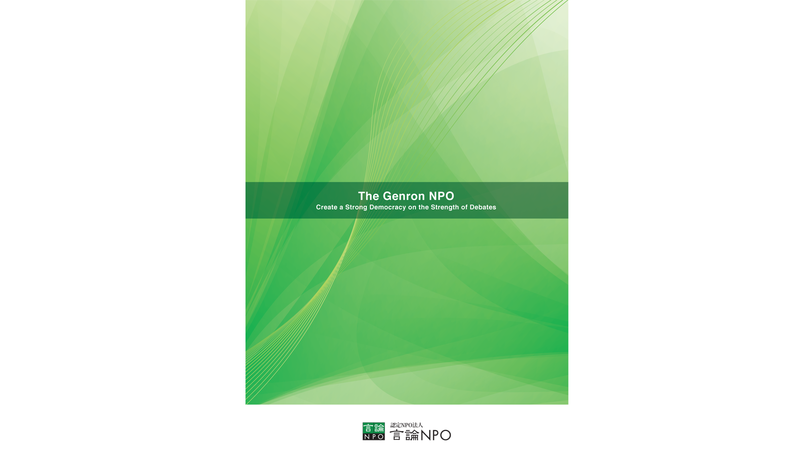 Yasushi Kudo, president of The Genron NPO, kicked off the discussion by sharing the results of its survey of experts regarding the G-7. 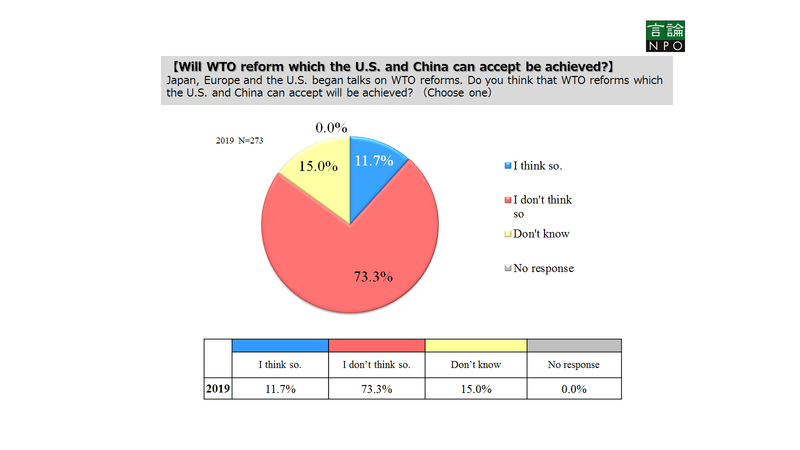 The survey showed that about 80% responded positively to questions such as "Is the G-7 still important?" "Should the G-7 take the lead in overcoming the crisis that is facing democracy?" and "What is the future of the G-7?" Asked what Japan should do if there was a clash of opinions among G-7 nations, 63.3% said, "Japan should concentrate on trying to act as mediator" while only 2.3% said, "Japan should side with the United States." Furthermore, 53.9% said the possibility of allowing Russia to rejoin the G-7 should not be considered, indicating that experts believe the G-7 should be comprised of nations with common values. Meanwhile, about 60% said they expected little from the Shanghai Cooperation Organization (SCO) Summit, involving nations such as China, Russia and India, that was held immediately after the G-7 Summit. This year's meeting of world leaders involved heated discussions about the global economy, trade, environment, the Iran situation and ocean plastic pollution, with photos showing what appeared to be a confrontation between U.S. President Donald Trump and the rest of the heads of state. Asked if this indicated the difficulties the G-7 faces if it is to maintain its role as a leader of a global order based on rules, Nadia Burger, deputy head of mission at the Canadian Embassy in Japan, responded that the function of the G-7 is consensus building and the meeting is a platform to establish common understanding. "The G-7 (Summit) has continued for over 40 years and I am convinced of its resilience," she said. "Even if the leaders disagree on issues, that does not mean they are no longer friends...If we look at history, there have been many occasions when leaders disagreed with each other. This time is no exception." 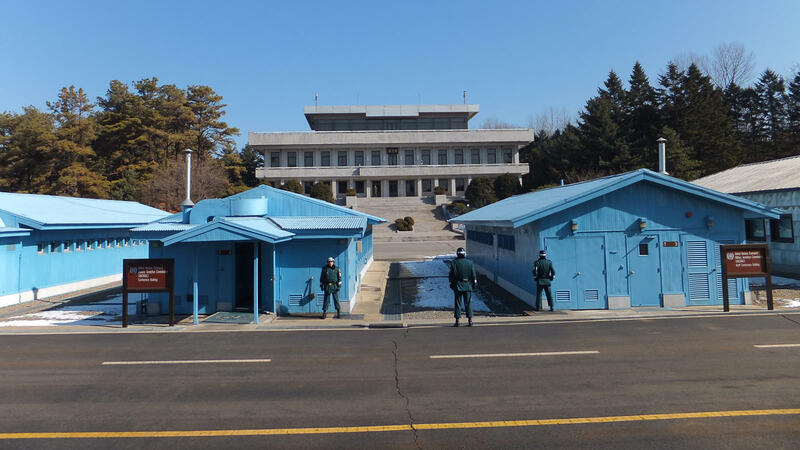 Asked about Trump's tweet that the United States had withdrawn its endorsement of the joint communique, Burger merely said, "The communique was agreed upon and it is now an official document." Teiji Hayashi, deputy director-general and deputy assistant minister of the Latin American and Caribbean Affairs Bureau at the Japanese Ministry of Foreign Affairs who served as a sous-sherpa for the June G-7 Summit, said this year's meeting was very difficult, with his team having to stay up for three consecutive nights to draw up a communique that all participating nations could agree on. 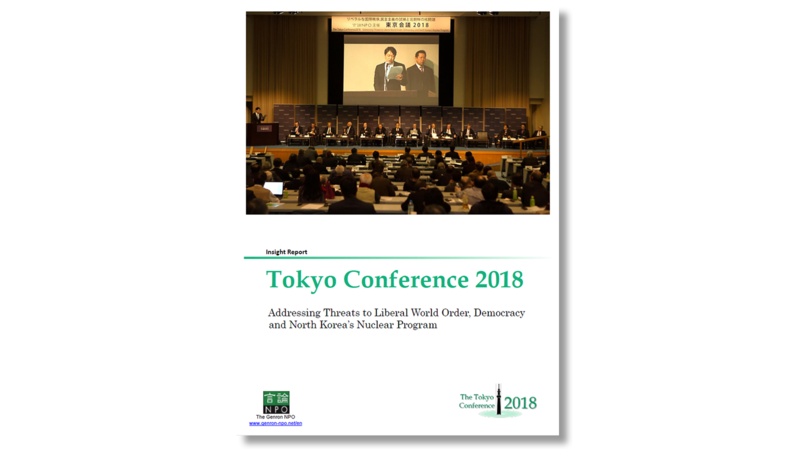 Hayashi, however, emphasized that the meeting showed measured success, as seen in how the communique reconfirmed the importance of democracy and a free economy amid apprehensions over globalism, and how concerns about interventions in democracy made it into the statement. On the issue of plastic waste in oceans, only five of the G-7 nations, excluding the United States and Japan, have agreed to an ocean plastics charter. 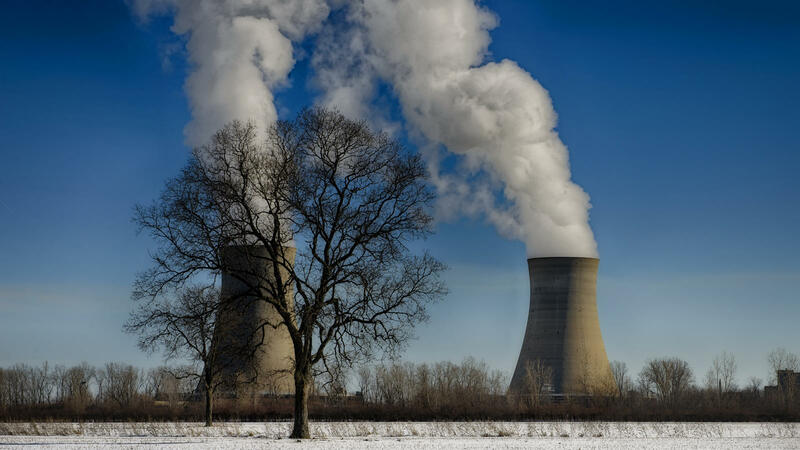 "We all understand the importance of the issue and it will no doubt remain a topic for discussion at future meetings," Hayashi said. "But this issue cannot be resolved by the G-7 alone since ocean plastic waste that arrives on Japan's shores comes from other countries. It needs to be addressed by the global community, including developing nations." Hayashi acknowledged that the disagreement among countries was more conspicuous in Charlevoix compared to past summits, but said that being able to engage in heated debate is actually one of the benefits of the G-7 forum. Meanwhile, Kenji Okamura, senior deputy director-general of the International Bureau at the Japanese Ministry of Finance, said Trump's extreme behavior reminded everyone that the G-7 framework can still be fragile. "But at the root, there is a common, universal value that the bearers of the current global order carry. There may have been a heated debate regarding trade issues, but that hasn't undermined the common values shared among G-7 (nations). I don't believe there is a risk of seeing a new currency or financial order, or seeing the G-7 break up," Okamura said. 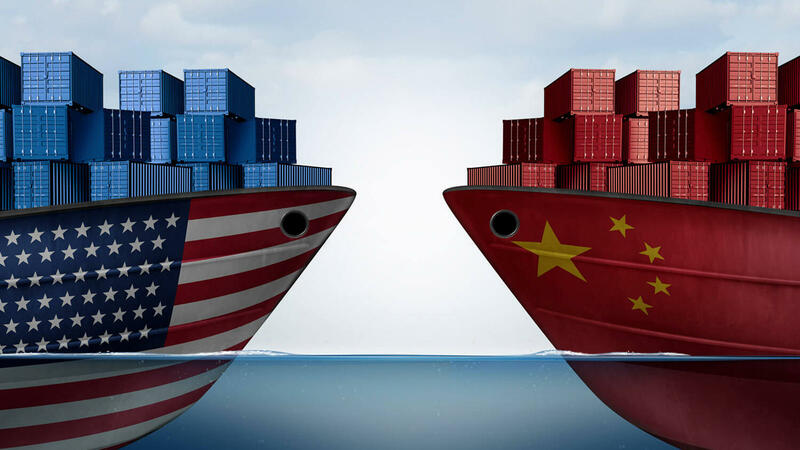 But he did warn of a potential risk of the G-7 being threatened if the trade war between the United States and China heats up, since this conflict is not between nations that share the same values. 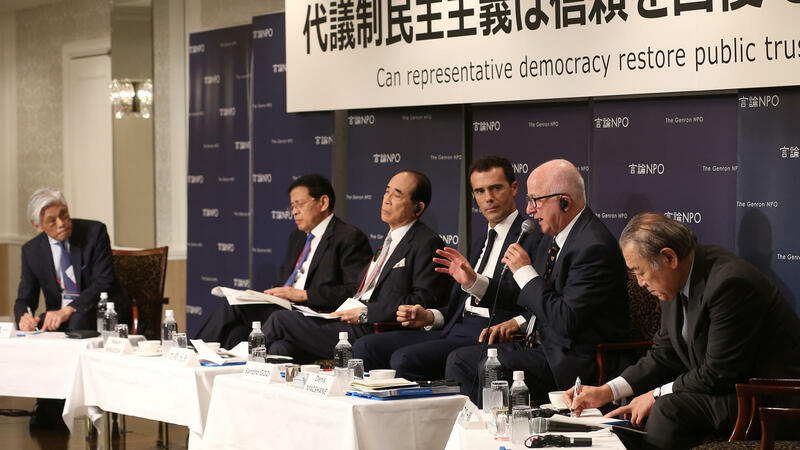 Laurent Pic, French ambassador to Japan whose nation will be hosting the G-7Summit next year, said, "We must not forget that the G-7 is originally a gathering of countries with similar values. The forum was meant for heads of state to informally conduct discussions, face to face." Pic said the participants tried to seek a compromise, meaning there is no need to be overly pessimistic. "We created various mechanisms and international organizations during the 20th century. The survey shows that people think the G-7 is necessary, so we must continue to share these common values and make the group effective," he said. Hayashi said that the G-7 forum faces internal and external challenges. The internal challenge is the confusion caused by Trump, which can only be resolved by improving communication among G-7 members through all available channels. The external challenge is the rise of emerging countries and how the G-7 should show leadership in tackling the various issues that arise from conflicting interests. Burger said, "The world is unstable and that gives us more reasons to cooperate with each other," emphasizing that it was important for the G-7 nations, which share a core of unwavering liberal values, to take the lead in maintaining global order and stability. 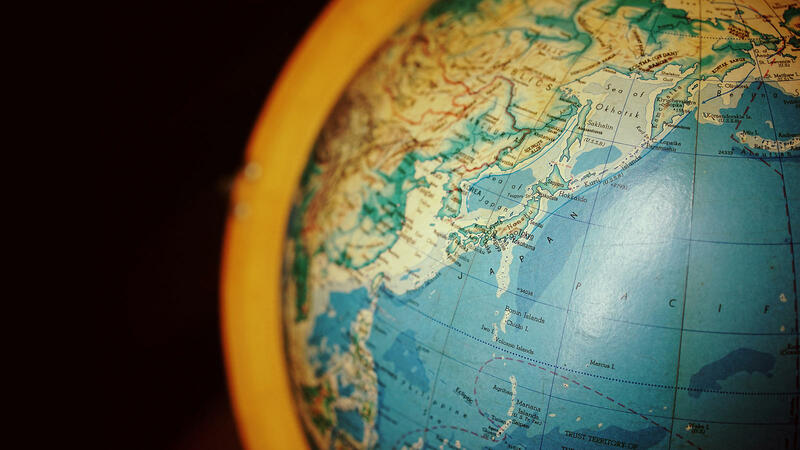 Okamura pointed out how China, among many other emerging countries, may pose a threat. The United States used to believe that China would eventually democratize as its economy developed, and become a nation that matched its universal values and world order, and European nations likewise took a soft stance toward China for similar reasons, Okamura said. But Western nations are being made to take a different approach to China, as the fast-growing country has expressed the bold ambition to build its own global order. However, Okamura said this should not be about undermining China. Noting how Beijing does not really know how to deal with the problem of excessive loans to developing nations, Okamura said that G-7 nations can offer technical assistance and persuade China to join international frameworks such as the Paris Club, a group of officials from major creditor countries that coordinate solutions for debtor nations facing payment difficulties. Pic emphasized the role of the G-7 as a protector of order and values. Even if new members or new concepts emerge, those should be handled within existing organizations such as the World Trade Organization (WTO), and not be influenced by trends to the extent that the values shared among G-7 nations have to be changed, he said. The topic moved on to how rule-making in new areas such as cyberspace and artificial intelligence should proceed, and how the G-7 should take the lead in the process. Hayashi said there were three trends regarding cyberspace -- countries like China that believe the state should be in control, countries like the United States that believe the private sector should be in control, and countries like those in Europe that value ethics and privacy. He said debate is ongoing among G-7 nations as to which trend should become mainstream. Pic said there are two trains of thought, one that supervision over citizens should be strengthened and one that interference should be minimal. 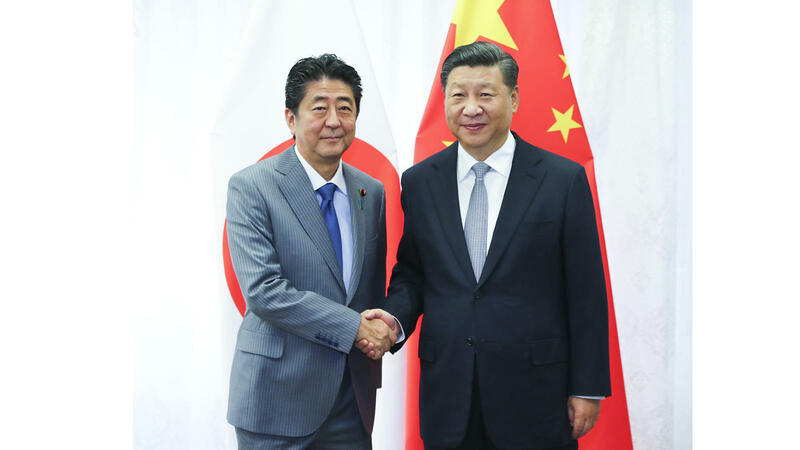 The G-7 nations, which honor liberal values, should seek the latter, Pic said, and once a framework of standards is established within the G-7 nations, the discussion should extend to G-20 nations, which include China and Russia, in order to build a global consensus. The survey showed that experts believed the G-7 to be important because it was a group based on "democracy." Kudo said that if that is the case, the general public should support the G-7 framework, but not many people fully understand what the group is all about. Burger cited the example of the Canadian government's initiative this year as the host country to seek "public consultation" from scholars and students. 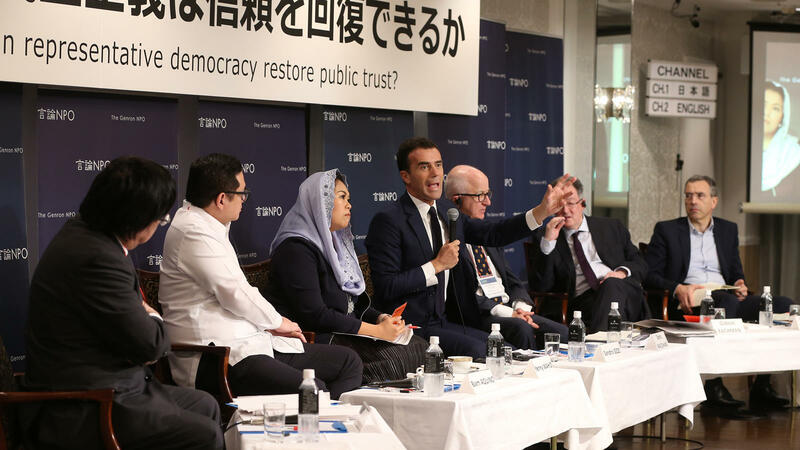 He also noted that the Canadian government took into consideration suggestions for the G-7 Summit made by participants of the "Tokyo Conference" organized by The Genron NPO earlier in the year. Hayashi mentioned how subsequent meetings, like the Labor Summit involving representatives of the International Trade Union Confederation (ITUC) or the Youth Summit, discussed issues raised in the G-7 communique, and that these efforts will promote communication with citizens and the general public. He also noted the need to make direct appeals through the social media, citing the example of how Trump actively uses the medium. Pic expressed concern about how elections are increasingly being influenced by populism. To counter such moves, Pic said leaders of G-7 nations need to clarify where the problems lie and propose concrete methods to solve them. He noted how President Emmanuel Macron appealed to the people of France by talking about "the bigger picture," such as how domestic problems cannot be solved without solving international problems, or how solidarity in Europe will ultimately benefit France in the long run. Next year, Japan will host the G-20 meeting while France will host the G-7 Summit. Asked what themes would likely be chosen for discussion, Pic mentioned WTO reform, environmental protection, including climate change and the oceans, gender equality and security as major themes on the agenda. All these themes were discussed at this year's G-7 Summit in Quebec, hence Canada is likely to liaise closely in the preparations, Pic said. He also added that it was important to proceed with multilateralism in mind, indicating how France was determined to strengthen the solidarity of G-7 nations. 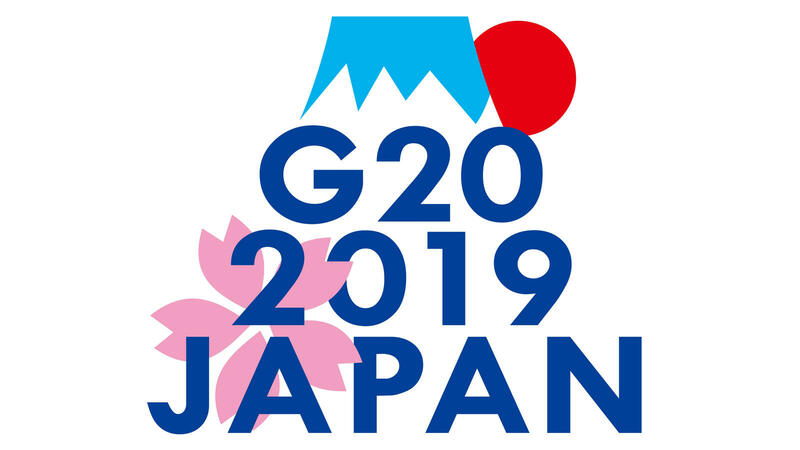 Hayashi said discussions at the G-20 meeting were likely to center around economic issues and free trade was likely to be a major topic. 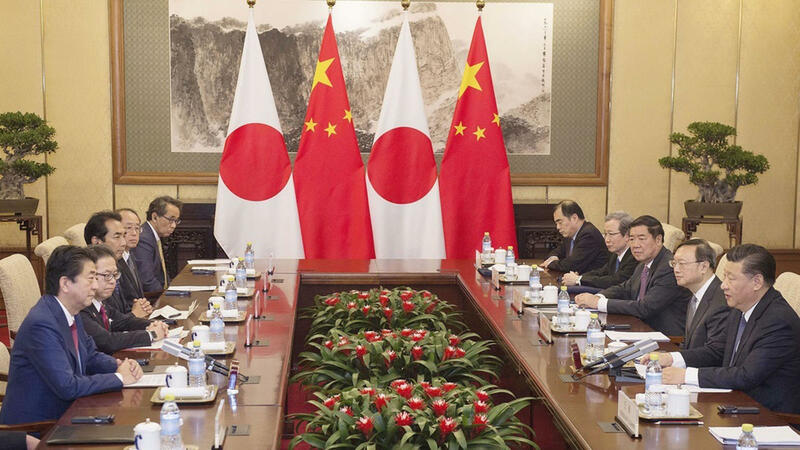 As Japan has been actively promoting multilateral free trade, such as its efforts with the Trans-Pacific Partnership framework and the Economic Partnership Agreement with the European Union, it was likely to take the lead in the discussions, he said. Okamura cited the issue of debt among developing nations, which was discussed extensively during this year's G-7 Summit. He said it was appropriate that this discussion continue in France, as it is also the location of the activities of the Paris Club.